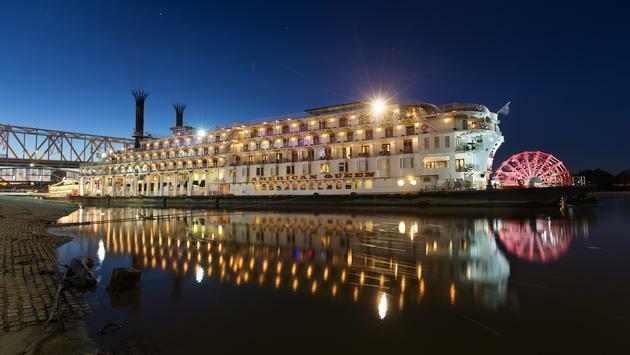 Travelers choosing to sail The Mighty Mississippi with American Queen Steamboat Company will get to experience a one of a kind themed voyage onboard American Queen. This journey begins in New Orleans on June 23rd and wraps up on July 15th in Minneapolis. Travelers will enjoy a leisurely, romantic style of travel as the ship glides up the river through various vibrant towns. As guests enjoy the sights outside, they’ll also be able to experience special onboard entertainment. From stringed-instruments and blues to comedy and historical tributes, everyone will find something they enjoy. There are also some excursions included throughout the journey such as the Hop-On, Hop-Off excursion in every port of call for people to experience the destinations. Other fare inclusions are a one-night pre-stay, all onboard meals with regionally inspired cuisine, wine and beer with dinner, Wi-Fi and much more. Travelers booked on this voyage have a lot to look forward to, and it is sure to be a highlight of their summer. Click here to learn more about this exciting summer itinerary.